Norwegian/Spanish hard rockers TNT have released their first "official" new single, "Tears In My Eyes". The track, which can be streamed below, is taken from their upcoming studio album, "XIII", due on June 8 via Frontiers Music Srl. "Tears In My Eyes" is the second track from "XIII" to be made available to the public. Two weeks ago, "Get Ready For Some Hard Rock" was released to mixed reviews. A short time later, TNT guitarist Ronni Le Tekrø took to Facebook to defend the band’s decision to offer "Get Ready For Some Hard Rock" as a first taste of the upcoming disc. 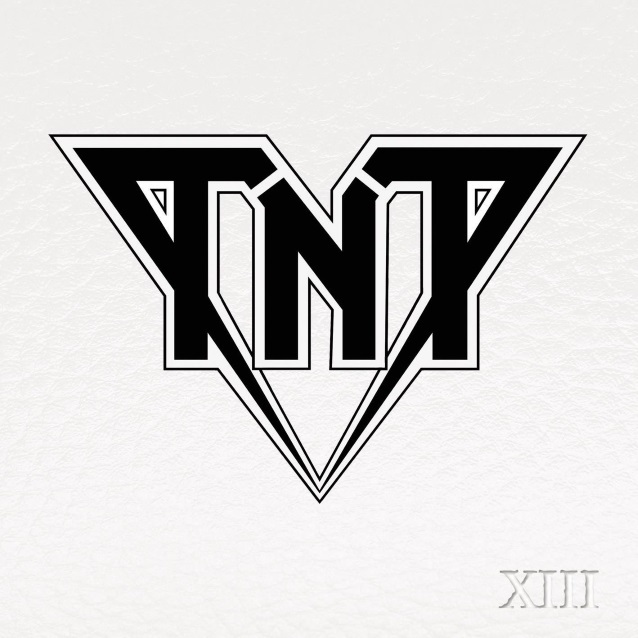 He wrote: "The musical direction on the new album contains classic TNT songs and is generally very melodic. In that respect, ‘Get Ready For Some Hard Rock’ is kind of untypical for the album that mainly consists of melodic hard rock in the vein of ’80s TNT, but we and Frontiers thought it would be a cool track as a teaser and a ‘message’ to rockers all over the world. This album is as diverse as ‘Tell No Tales’ and we are very happy about it. Look out for the first proper ‘single,’ ‘Tears In My Eyes’, coming [later this month]. It can’t sound more TNT than that one! Haters and skeptics will be turned into LOVERS again." Baol stated in a video message: "I’m very happy and very grateful to be here, to be a part of the TNT family now. This is a dream come true for me, actually, because I’ve been a fan of TNTsince my teens. You could say I grew up listening to the band. So this is kind of a strange karma for me, you know. I just wanted to tell you that I’m here to continue with the legacy and hopefully see you all in the near future touring and having fun together." At the time of Harnell’s latest exit from TNT, the band was said to be working on a new studio album for a 2018 release via Frontiers Music Srl. British singer Tony Mills appeared on three studio albums from TNT: 2007’s "The New Territory", 2008’s"Atlantis" and 2010’s "A Farewell To Arms".